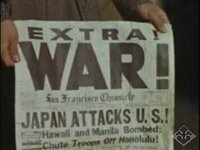 The Japanese American National Museum has published a trove of rare home-movie footage from the Museum’s historic collections on its Discover Nikkei website. 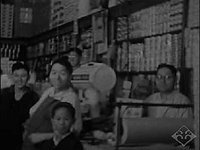 This online collection includes rare home-movie footage of over 330 film clips about the daily lives of Japanese Americans from the 1920s through the 1960s including poignant footage from America’s World War II concentration camps. Drawn from the National Museum’s permanent collection, these films have been preserved, digitized, and published with funding from the National Film Preservation Foundation (NFPF), and in collaboration with Denshō, the Japanese American Legacy Project. By providing this significant body of primary-source multimedia for educational use, the Museum hopes to stimulate students’ and educators’ curiosity about the rich lives and varied activities of America’s diverse peoples and cultures. Footage of the K.M. Akiyama Co. grocery store in Little Tokyo, Los Angeles; the Akiyama family at home. 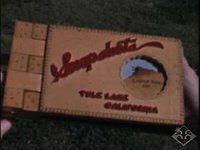 Family and business activities of California businessman Setsuo Aratani (1885–1940), including the Guadalupe Produce Co., trips to Yosemite, and Aratani’s Buddhist funeral. Buildings and activities at the Heart Mountain (Wyoming) concentration camp. The Japanese American community in Terminal Island and San Pedro, California. Footage of the fishing industry; the annual Fisherman’s Fiesta; fashion shows, football games, and family events. 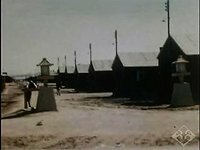 Activities at the Heart Mountain (Wyoming) concentration camp, including meals in mess halls, laundry, handicrafts, sports, traditional celebrations and pastimes. Also barracks interiors, windstorms, and a winter carnival. 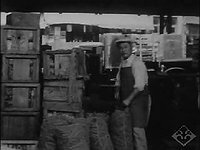 Japanese American business and family life in Los Angeles and Southern California, including agricultural work, produce markets, domestic scenes, and a Japanese festival parade. 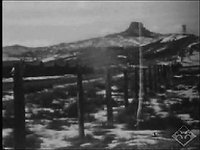 Activities at the Tule Lake (California) detention center, filmed by a teacher. 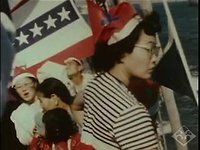 Footage of school personnel, a graduation ceremony, Japanese dance performances, handicrafts, youth fellowship groups, and the camp’s conversion to a segregation facility. 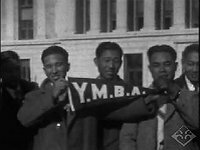 Japanese American communities in Stockton and Los Angeles (California), and Tacoma (Washington), filmed by a Buddhist minister. Footage of church activities, sports, recreation, tourism, and children playing. 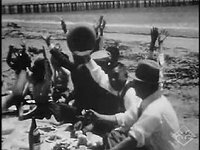 Pre-war footage of family outings, sporting events, holidays, celebrations, and the family dry-goods business in San Francisco. People and activities at the Topaz (Utah) concentration camp, and a return visit after the camp’s demolition. 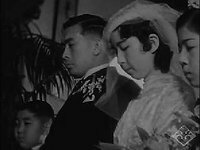 A Yamada family wedding ceremony and restaurant reception in Los Angeles, and an anniversary celebration.